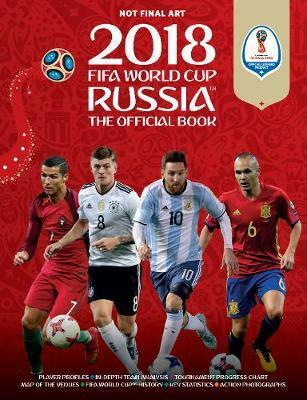 The FIFA World Cup 2018 is scheduled to be held in Russia from 14 June to 15 July in Russia. Here's the full schedule (fixtures), groups and match timings in IST. A total of 64 fixtures will be played in the course of the tournament with hosts Russia playing the first match against Saudi Arabia on 14 June. Thirty-two teams have been divided into eight groups, consisting of four teams each. The top two placed teams from each group will qualify for the knockout rounds. The last two teams left standing will battle it out in the final on 15 July for the right to be called champions of the world. Brazil hosted the previous edition in 2014, where Germany emerged as world champions by beating the Lionel Messi-led Argentina by 1-0 in the final. The competition is expected to be a lot tougher this year as many teams have bettered themselves from the previous edition. Portugal won the European Championships in 2016, Spain look confident and eager to bounce back after their poor performance in the last outing. A vibrant France are also a side to watch out for as they have some quality young talents like Kylian Mbappe, Antoine Greizmann, Ousmane Dembele and Samuel Umtiti. Meanwhile, Brazil are seeking a resurgence after the ignominy of the 1-7 defeat to Germany at home in the semi-final stage in 2014. Neighbours Argentina, meanwhile, will give everything in Russia to send off arguably the country's greatest player, Messi, with a trophy he has coveted since a child. Russia are bidding to avoid the ignominy of becoming only the second World Cup hosts to fail to reach the knockout stage and have been given a good draw in a wide-open Group A. England and France have favourable draws. Portugal are slated to face neighbours Spain in Group B, and Argentina drew one of the tougher first-round groups, as they were paired with Croatia, Iceland and Nigeria. Mexico, the CONCACAF champions, will play defending champions Germany, Sweden and South Korea in Group F.